Only one American hero has earned the rank of Green Beret, Navy SEAL and Army Ranger. Just one operative has been awarded 16 purple hearts, 3 Congressional Medals of Honor and 7 presidential medals of bravery. And only one guy is man enough to still sport a mullet. 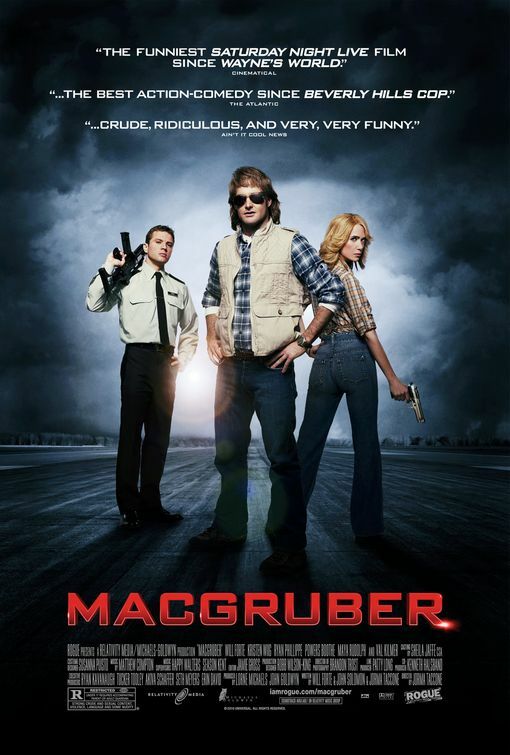 In 2010, Will Forte brings Saturday Night Live's clueless soldier of fortune to the big screen in the action comedy MacGruber. In the 10 years since his fiancée was killed, special op MacGruber has sworn off a life of fighting crime with his bare hands. But when he learns that his country needs him to find a nuclear warhead that's been stolen by his sworn enemy, Dieter Von Cunth (Val Kilmer), MacGruber figures he's the only one tough enough for the job. Assembling an elite team of experts--Lt. Dixon Piper (Ryan Phillippe) and Vicki St. Elmo (Kristen Wiig)--MacGruber will navigate an army of assassins to hunt down Cunth and bring him to justice. His methods may be unorthodox. His crime scenes may get messy. But if you want the world saved right, you call in MacGruber.